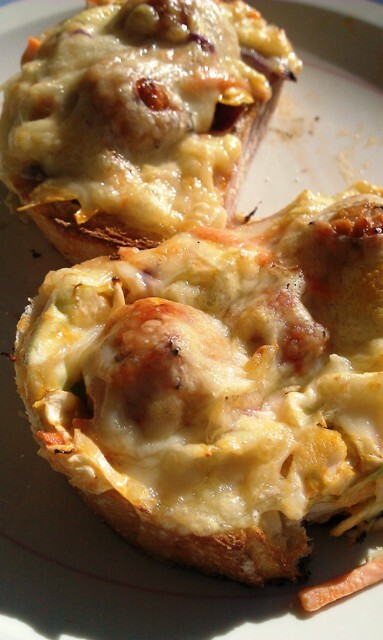 Turkey Meatball Reubens — Superfast Meets Superhealthy! Today, I’m going to take an ingredient — ground turkey — that many people think of as a healthy alternative and turns it into something really yummy: turkey meatball reuben subs. Ground turkey gets a bad reputation as the classic health food bait & switch. 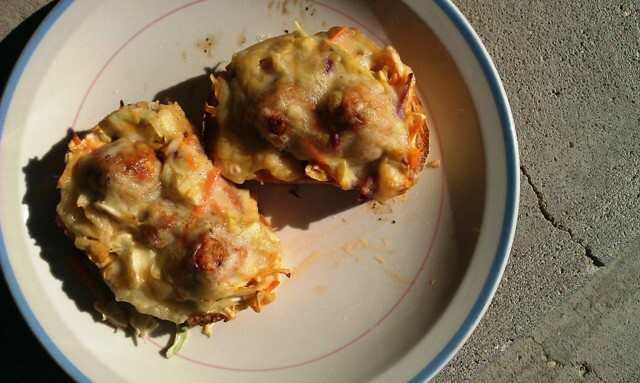 Turkey burgers (when badly made) can be dry and flavorless. And I’ll hand it to beef & sausage — ground turkey is just not cut out to be the basis of a chorizo or a zesty Italian marinara. But it is good at some things, and finding those purposes, the recipes specifically suited to a particular ingredient, will better help you appreciate all that healthy foods can become. These subs are just the ticket. By using ground turkey to make the homemade meatballs, you get healthier, and less chemically-induced meatballs than pre-made (which, on top of being made with fattier ground beef, would be loaded with preservatives) and you get to add in the spices that give these subs their reuben flavor. So you’re finding a use for a lean meat like turkey that celebrates, rather than apologizes for, itself. The only time-consuming part of this recipe is making the meatballs — that is, mixing the spices into the turkey meat and rolling them into meatballs. That takes maybe ten minutes, depending on how many meatballs you make. Italian side note: There is only one right way to make a meatball. None of this using a spoon crap. Get your hands in there, grab three fingers-full of meat, and roll it quickly between your palms. It’s worth the slime, I promise. 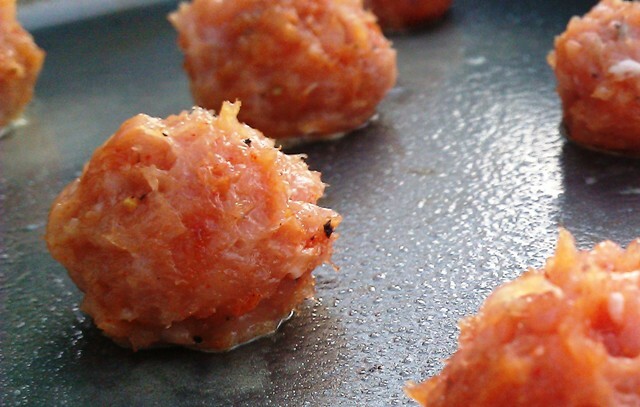 You’ll get adorable little meatballs with no split seams, perfectly round and smooth. 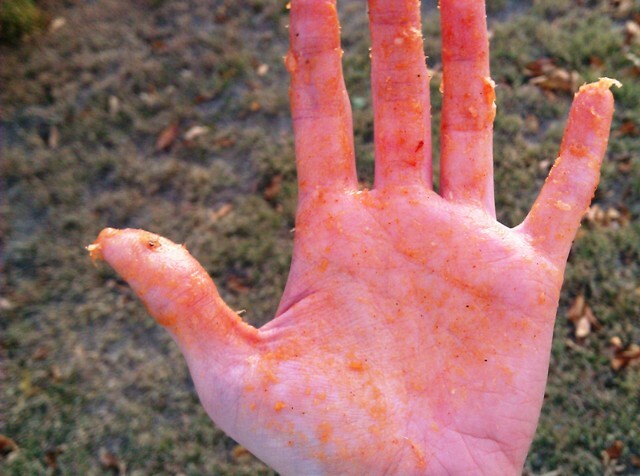 You will also get hands that look like this (from the paprika). While the meatballs are broiling, you have more than enough time to prep the sub buns (I highly recommend taking the recipe’s suggestion to hollow-out the bread — you can actually pick up and eat the sub that way! ), and make the coleslaw while the meatballs are broiling. In fact, you’ve got enough time that I’d even advocate making your own coleslaw — just use the vegetable peeler on a couple of carrots, chop or shred some lettuce, cabbage, whatever you have on hand, and toss it with the dressing. 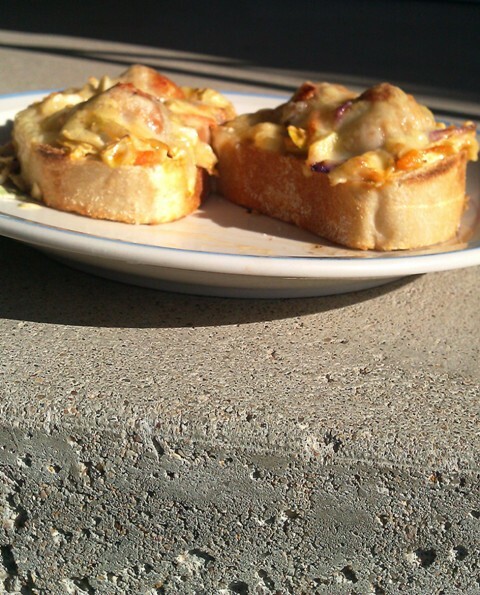 You end up with a filling, well-rounded meal in about twenty minutes start to finish. And you can enjoy that meal knowing what’s in it — no mystery ingredients, no chemicals, and a lot less fat than your average burger, with none of the flavor removed.